Balfour’s location allows close proximity to many of Regina’s community agencies. If a student is needing support, please contact the guidance office where we will be happy to assist (306-523-3211). We are be able to provide direct support for students and make connections for them and their families to community agencies for ongoing supports. 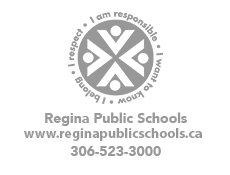 A complete list of community supports is available on the Regina Public Schools website. Our Student Support Services Area also includes an Indigenous Advocate for additional supports. Information on our Indigenous Advocate can be found here. There are many scholarships available for graduating students. Regina Public Schools has created a compiled list of scholarships for all students to access. It is continually updated, and should be checked regularly and also provides information about what documents are required for applying. Visit the Scholarship Section of the Regina Public Schools website for more information. Balfour provides a limited number of scholarships that are only available to grade 12 students graduating from Balfour Collegiate. These scholarships are made available at the end of April each year. Form information on Balfour’s Internal Scholarships, click here.